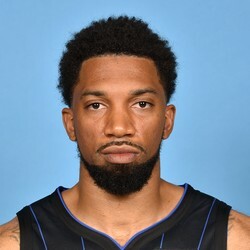 Khem Birch put up eight points, five rebounds, and one steal on Tuesday night against the Thunder. In the seven games that Bamba has not played this season, Birch is averaging 5.86 points in 16 minutes per game, which is an improvement from his season average of 2.7 points in 9 minutes per game. Prior to the game, rookie center Mohamed Bamba was ruled out indefinitely with a left leg injury that could end his season. Despite being in immediate position for more minutes, Birch will still play behind All-Star center Nikola Vucevic, so he is valued as a cheap DFS consideration at best.